So far there is no word on the girl's condition. The ride has been shutdown pending a full investigation and has also been removed from the Six Flags website. CLOSE SIX FLAGS FOR "EVER"!!!!!!!!!!!!!!!!!!! People are saying that they will never come back to Six Flags for this accident. But I dont understand is why? Sure the fear is there. Thats why we go. To stop going for a 1 in a million freak accident is stupid. You would have a bigger chance of getting in a car accident and getting killed then a death by an amusement park attraction. people are over-reacting once agian. 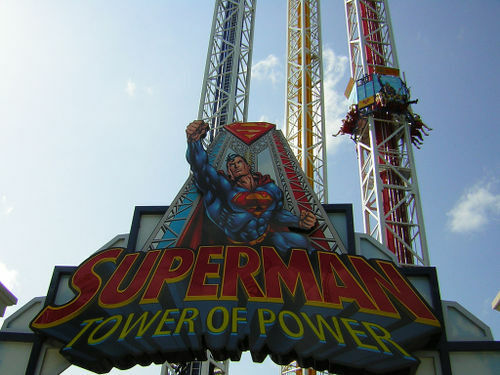 I am going to Six Flags next weekend and sure there might be a bit of tremdation about the ride but there always will be. Thats is the whole point about it. Thanks for the comment, Trinity. I hope you have a good time at Six Flags next week. I'm sorry for her. It's awful and she should totaly get like a billion dollars but I LOVE Six Flags. I'ts one and a TRILLION that this will ever happen again! This should not have ever happened...this is the negligence of the authorities...and the safety department. That is terrible. I feel for this girl. I hope she'd be able to come through this accident.